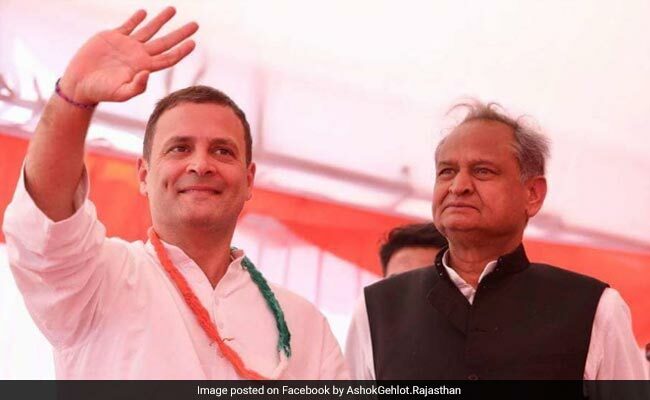 Lok Sabha Elections 2019: Ashok Gehlot said Narendra Modi became Prime Minister of the country by talking about Gujarat's development model, but today the entire country was against him. Rajasthan Chief Minister Ashok Gehlot on Monday said the United Progressive Alliance government at centre, if voted to power, will launch a probe into the Narendra Modi government's notes ban in 2016. "The UPA government at the centre will get demonetisation probed when it will be in power. The secret will be out about the profit and loss to the country due to demonetisation. Corruption will also be exposed," Mr Gehlot told reporters. "These people do not lack resources. They are misusing social media by forming teams. Now, they have learnt marketing strategies very well," he said. PM Modi had said the back of terrorism would be broken and Naxalism would be eliminated but no work was done in this direction, Mr Gehlot claimed. Be it developing smart cities, model villages or terrorism-free India, the Modi government has failed on all fronts, he added.